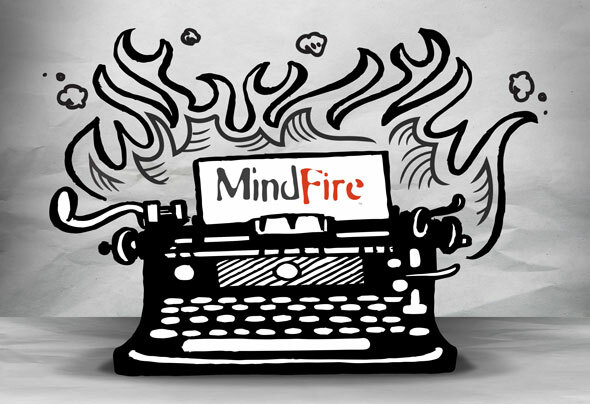 An internship at MindFire isn’t the stereotypical agency internship everyone warns you about. I made zero coffee runs (except my own). I only made copies for someone else once. And, I never felt like I couldn’t ask questions. James did refer to me as “the intern,” but deep down, I know he thinks I’m the best person to share a desk with. During my time in the office, I felt welcomed, valued and appreciated. What’s best – I made actual contributions to client work that I can now use on my resume and portfolio. Those contributions ranged from writing social media editorial calendars to press releases to social strategies. Speaking of press releases, those were the projects that I struggled with the most. I remember receiving the first press release from the person editing and seeing nothing but red marks – almost every other word had a change or comment. In that moment, I felt discouraged and embarrassed. I had written press releases in the past with no problems but writing releases for clients is a whole different ballgame. Thinking back on it, I am so thankful for those red marks. The marks mean I have something to improve on going forward – something to prove to myself and others that I can work on. The constructive criticism didn’t stop at press releases. I receive feedback on every assignment I turn in and continue to be blown away from the intelligence and dedication of every Arsonist. I have learned more from all of them in my two months here than I ever expected. Everyone here shows a true passion for their work and makes coming to work every day enjoyable. From the inside jokes, to the lunch-time walking crew, to drinks shared at our own office bar. Yes, I said bar – for inspiration, of course. This internship also gave me the opportunity to explore Minneapolis with every single one of the Arsonists on our Inspiration Expedition. This three-day trip was a chance for all of us to get re-inspired and I can honestly say that it was my favorite part of the entire summer. 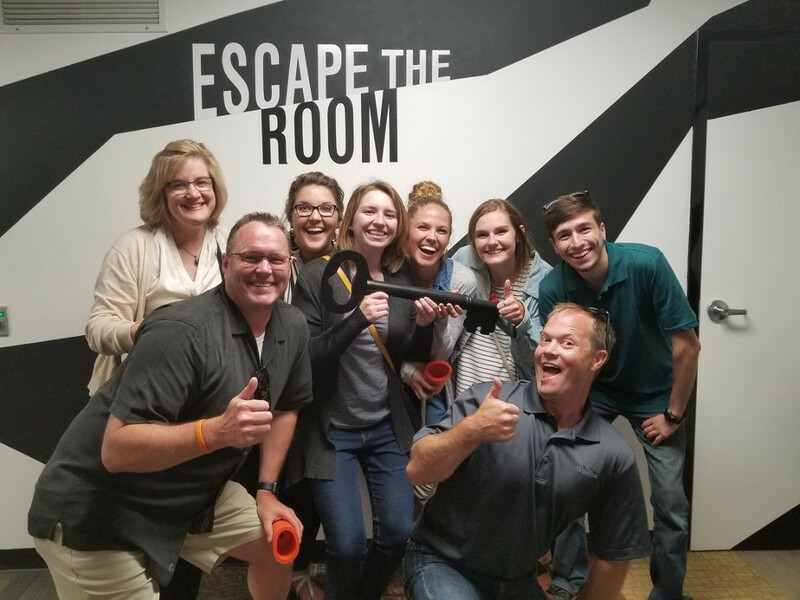 Not only did I come back to Le Claire re-inspired and re-focused, but I also gained a bigger appreciation for what MindFire does for clients. Most important it gave me reassurance that I chose the right career path. I am not going to lie, my internship was challenging at times, but I am going back to school with so much more confidence in myself and my future – and not to mention a portfolio that’s a mile long. I will forever be grateful for this opportunity and the adventure it brought to my summer. The best part… I’ll be working here until the end of the year as the fall intern! I must have been doing something right . Come in with an “I get to” attitude rather than an “I have to” attitude EVERY day. Learn from the constructive criticism. Embrace the red marks. Ask questions. Ask for projects. Ask to sit in on meetings. There will be days where you don’t have many projects, so get creative and start one. Remind yourself that you don’t know it all. The projects you hand in won’t ever be perfect. 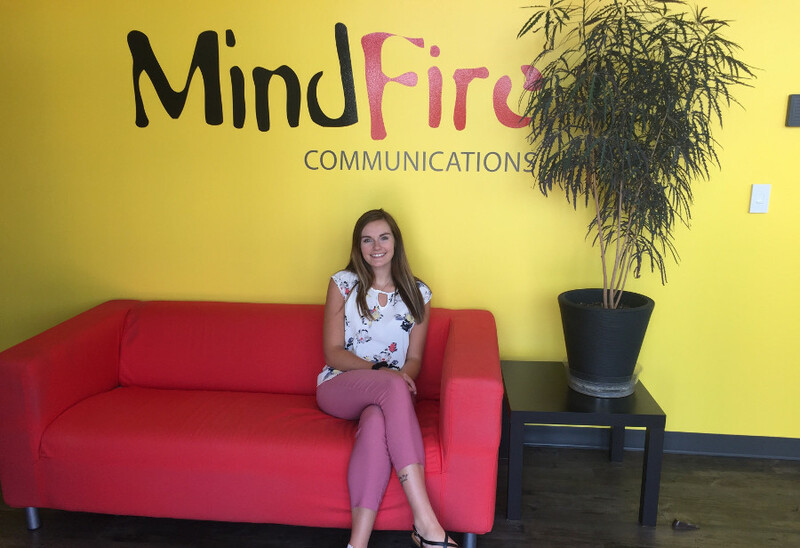 Macey Harms is Intern Arsonist at MindFire for the summer and fall of 2018. 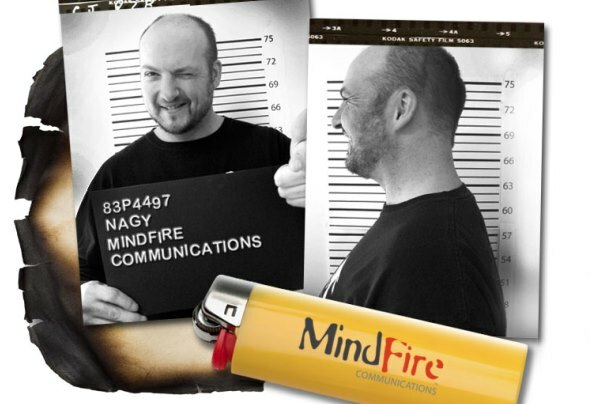 Digital Arsonist Tony Nagy has been lighting fires at MindFire for three years! He is a veteran programmer, with an enthusiasm and talent for turning pages of coding into powerful and effective marketing tools. The searing hot bottle designs for Mississippi River Distilling Company have won yet another award by an industry organization. The steamin' hot Mississippi River Distilling Company bottle labels are heating up the pages of a brand new coffee table book called "Labels and Bottles of the Craft Spirit Industry."